An indoor grill ready for any kind of weather! 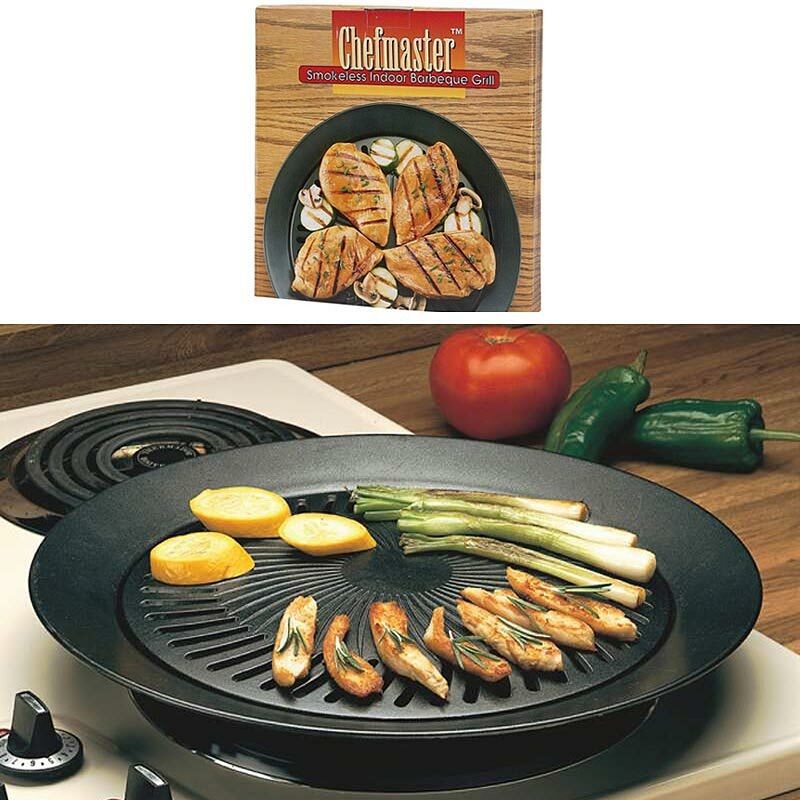 Add this Chefmaster 2-Piece Smokeless Indoor Stove Top Barbecue Grill to your kitchen gear if you have a living space with no outdoor balcony, deck, or yard suitable for a full-sized grill. 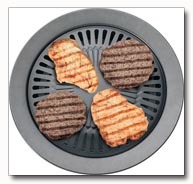 Grill with iron plate works on standard electric, gas, or propane stoves. Water filled outer ring Catches fat drippings and meat juices during cooking, preventing smoking and spattering. Nonstick surface Aids with foods not sticking to grill surface and saving time with quick, easy cleanup.